Firstly, you Google it and find a method that works for you or talk to your doctor. This isn’t medical advice, it’s my personal story. Thursday, my drinking peaked. Friday, I quit. And, Friday, I felt the effects. Despite my drinking escapades in college, I never got addicted. I wasn’t using it every day, so I’m not surprised. This time, since I’d been drinking every day for two months straight, I did get addicted. This isn’t the story about the addiction, though. It’s about the withdrawals. Withdrawals hurt. They hurt all over. On Friday, not long after lunch time, I started experiencing headaches. Not weak ones either. Before dinner time, the headaches were stronger, and I was feeling a general feeling of crappiness. 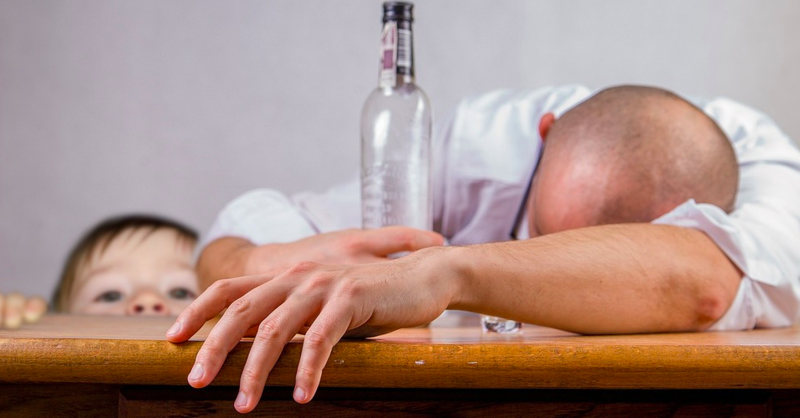 Even though I hadn’t ever experienced this before, I knew what it was: alcohol withdrawals. I knew it was bad as I was on the subway to pick up my daughter from school. I was leaning against the side of the train car, feeling melancholy, muscle pains, and upset at myself for drinking so much recently. On the walk home, I made my attempt to quit real. Holding my daughter’s hand while walking her home, “I’m not gonna drink any more beer,” I said to her. She didn’t fully understand what I was saying, but it’s not the point. I knew that my 4-year-old would call me out if she saw me drinking one, it was a way to keep a check on myself and not break a promise to my daughter. Only a monster could break a promise to this face. Playing with Auburn when we got home was impossible. I needed quiet and rest. A 4-year-old doesn’t give you either. I had a hard time falling asleep, I couldn’t stay asleep, and my dreams were extremely vivid and disconcerting. They were dreams of being trapped, held hostage, fighting, and arguing. Overall, the first 24 hours were pure crap. Saturday didn’t start off any better. I awoke groggily with a headache still present. I knew that drinking a beer would ease the pain and discomfort, but I can be a person of extremes, I wasn’t going to taper. It’s cold turkey for me. Just get it over with. But it wasn’t about to let up that easily. The headaches intensified, the general feeling of shittiness grew. And I was looking at a full-day of hanging out with 4-year-old. People think being a single parent is difficult, especially if you are away from home. I don’t (usually). Maybe it’s because I’m just accustomed to it, and I enjoy spending my time listening to her giggle in between her grumpy footstomps. However, being a single parent is extremely difficult when you’re going through withdrawals. Auburn’s general energy level. Climb, climb, climb! The attention that I usually give to Auburn was diverted to trying to mitigate my headaches, relax my body, and reminding myself that I’ll be over it soon (hopefully). I had to quickly come up with a way to keep her fed and entertained all day. So, I premade a bunch of peanut butter and jelly sandwiches and gave up my ideals of minimizing her electronic usage and let her use my Kindle as much as she wanted. Thankfully, she spent the day watching Lalaloopsy and munching her sandwiches, but that did nothing to ease my physical and mental discomfort. It was day two of headaches, physical pain, in the mental torment of knowing that I did this to myself. I did what I could to keep myself nominal: I drink a lot of water, ate plenty of vegetables, and moved my mind away from drinking beer by drinking Sprite and eating Cadbury Milk Chocolate. Night number two was very similar to night number one. In fact, there was almost zero change, and I woke up on Sunday with the same headache. Sunday was like Saturday. Headaches, muscle pain, general feeling of melancholy. I was starting to realize that I had been much more addicted to drinking that what I had thought. At least, I said to myself, I hadn’t been drinking for six months or a year. Alcoholism runs in my family, and it’s not a rabbit hole I want to fall down. Me in 4 months if I’d kept drinking. Thankfully, Auburn spent the afternoon with her Chinese family. I spent the afternoon wallowing in pain and self-pity. I spent it thinking about how awful other forms of withdrawal must be and how people can get addicted to painkillers or street drugs. You see, like many Americans, I lost a friend about a year ago to addiction. I remember knowing why he had got addicted to painkillers (he fell off a roof and broke his back), and him explaining how they had stopped working, so he had to take more than what he was being prescribed. It sounded scary to me, but he said he needed it. He was a hard-worker, a good father, and a kind friend. I never expected him to be able to end his addiction to painkillers. Now that I’ve been through the withdrawals of alcohol, I can’t imagine anyone being able to. I digress. How do you beat alcoholism? You suffer. You suffer for days and nights. Sunday night was the worst of the headaches: a splitting headache. Worse than the concussion I got when I fell off my bike in the 7th grade. I knew beer would stop it. I had a beer still sitting in my fridge. I opened the fridge door. Just looking at it reminded me of the trap I had built for myself. To get to this point, I was ashamed of myself. I closed the fridge door, got my daughter and myself to bed, and slept just slightly better than the previous two nights. Now it’s Monday. My headache is almost gone, the physical pain significantly reduced, the feeling of melancholy nearly extinguished. I haven’t drank any alcohol since Thursday, and I’m feeling much better about myself. I can tell that I’ve already lost a pound or two from my diet the past few days. I don’t feel as tired this morning, and I’m much more productive than I was on Friday (of course). The little girl who keeps me focused. So, how do you beat alcoholism? You suffer. But when you’re done suffering, there’s still the guilt. Thankfully, I’ve learned to let go of guilt and focus on the future. I won’t say that I’ll never drink again, I probably will. But I won’t be drinking for a while, and when I do, I’m going to remember these past few days and what it was like to withdraw from it. If I don’t remember, then I can always return to read this post to remind myself of the physical and mental pain that it put me through. It’s something I never want to return to again. If you’re wondering, how do you beat alcoholism? Do it at your pace, stay strong, and just remember that your central nervous system is reacting to a new environment that isn’t soaked in alcohol. It will take time to adjust, but it will adjust. Withdrawal from alcoholism is physically and mentally painful–the damage that alcohol does to your body and mind is worse.